يشكل Peppers Craigieburn Hotel بموقعه الممتاز في باورال نقطة انطلاق جيدة لاستكشاف هذه المدينة النابضة بالحياة. إن موقع الفندق الاستراتيجي، الذي يبعد 3.5 km فقط عن مركز المدينة، يسمح للنزلاء بالوصول سريعاً وبسهولة إلى العديد من الوجهات المحلية المثيرة. يضفي محيط الفندق اللطيف وقربه من ‪The Milk Factory Gallery and Exhibition Space‬, ‪The Corbett Gardens‬, Heart and Soul Healing سحراً خاصاً على هذا الفندق. كما يقدم Peppers Craigieburn Hotel الكثير من الخدمات لإغناء رحلتك في باورال. هذه بعض الخدمات الموجودة في هذا الفندق: مكتب الاستقبال على مدار الساعة, مرافق مخصصة لذوي الاحتياجات الخاصة, تسجيل وصول/خروج سريع, تخزين الأمتعة, واي فاي في المناطق العامة. استمتع بوسائل الراحة الراقية في الغرف أثناء إقامتك هنا. بعض الغرف تتضمن تلفزيون بشاشة مسطحة, قهوة فورية مجانية, بياضات, مناشف, اتصال لاسلكي بالإنترنت لمساعدتك على استعادة طاقتك بعد يوم طويل. يقدم الفندق خدمات رائعة كمثل ملعب جولف (ضمن العقار), مسار جولف - ضمن 3 كم, سبا, تدليك, ملعب تنس لمساعدتك على الاسترخاء بعد نهار طويل من النشاط والتجوال في المدينة. مهما كانت دواعي سفرك فإن Peppers Craigieburn Hotel هو خيار ممتاز لإقامتك في باورال. Thank you for your review, We look forward to seeing you in the near future. 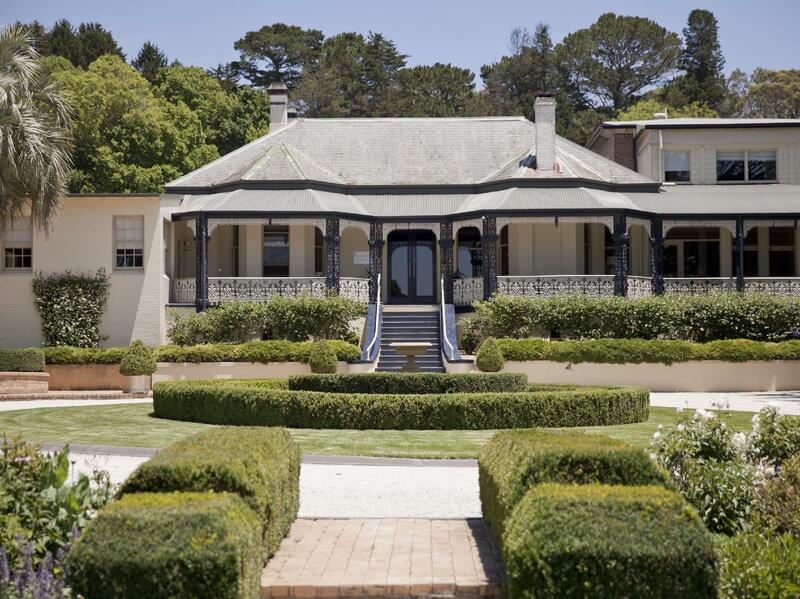 Beautiful location, property and surrounds. Very friendly staff, great food onsite, large, comfortable rooms with great amenities. Hotel entrance is that of beauty and the view outside is nice. However the hotel and facilities itself are very outdated, unless of course you are ok with that old antique sight and feeling. The walls are so thin you can actually hear the steps from above your floor. The staff and food were very nice nevertheless. Beautiful location and grounds, although we found the room quite small with basic amenities. We found there was no compendium in the room - as younger travelers who are always using technology, sometimes it's nice to switch off and not have to download an app (unless you called reception, which you try to avoid when going away for a couples weekend). Bed and pillows were comfortable and there was plenty of parking. Allowing for a very relaxing getaway. 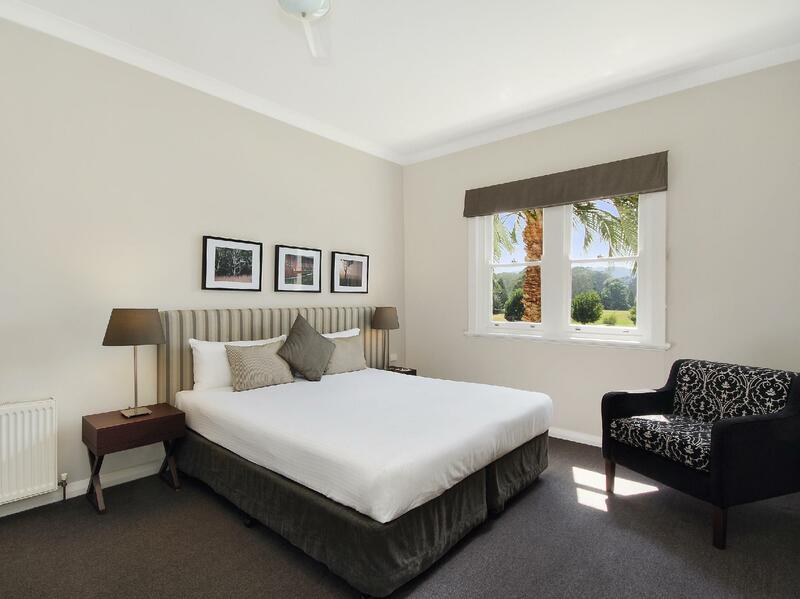 This beautiful guesthouse is located close to Bowral town centre but still feels very private. Right on the guild course with beautiful garden surrounds. Peppers need some TLC it is a beautiful building but needs work on it. The rooms are very small however nice. They offer games such as Croquet and the set looked like it was as old as the building which was the same with a lot of things. To except an 84 year old to drag his bag upstairs of three floors as there is not one lift to be had in the place is crazy. The whole area is beautiful but please start some form of TLC soon before it is passed helping. A bit disappointing! Traditional hotel surrounded by beautiful gardens and grounds. It was a beautiful place to stay but i would have to say i was a little disappointed in a few aspects. Our room wasnt serviced every day, room service trays were left in the hall for a long time and the meal pricing was a little expensive, $80 for a high tea for two. The staff were very friendly and accommodating and over all we loved it, just would have expected more from a 4.5 star establishment. The grunds are amazing. The only issue is the beds are very small if you are over 6 foot you may not fit in the bed. Really good value and we had both dinner and breakfast in the restaurant. Food at dinner was excellent and staff very friendly. We felt so relaxed staying at Peppers after a wedding in Centennial. Rooms were clean and staff were very welcoming. Thank you for taking the time in your review. Location is beautiful and staff were helpful but the Hotel must be refurbished. Enjyed the ambience, the pretty gardens and the food. Fantastic location with beautiful grounds and main building. Excellent food at the wedding and a good breakfast. Friendly staff.